Souza’s new book “Shade: A Tale of Two Presidents” will be published on October 16, 2018 by Little, Brown & Company will be accompanied by a solo exhibition at Steven Kasher Gallery from October 11 – December 8, 2018. His previous book, "The Rise of Barack Obama," was published in July 2008 and includes exclusive photographs of the Senator Obama's rise to power. The book was on the New York Times bestseller list for five weeks. His book, "Obama: An Intimate Portrait," was published by Little, Brown & Company on November 7, 2017, and debuted at #1 on the New York Times bestseller list. Souza has had solo exhibits of his photographs at the Leica Gallery in NYC, Kansas State University, Fermilab, the U.S. Naval Academy, the Navy Museum, The Kennedys Museum in Berlin, Cortona, Italy, the University of North Carolina, Boston University, Ohio University and the National Press Club in Washington. His photographs have also been part of group exhibits at the National Archives, Smithsonian Museum of American History, Corcoran Gallery of Art, the Newseum, and the 92nd Street Y in New York City. His traveling exhibit, "Two Presidents," debuts in early February 2019. Pete Souza: Throw Shade, Then Vote was featured on Good Morning America this morning in a segment with Pete and ABC News reporter and Nightline anchor Juju Chang. 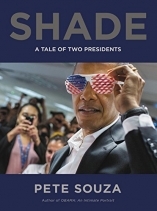 The two discuss his exhibition at SKG as well as his new publication SHADE: A Tale of Two Presidents, published by Little, Brown and Co. Pete says the message of his book is simple, "If you're unhappy with the situation the way it is, then you have to vote. You have to do your civic duty and vote in order to change the way things are." Pete Souza's upcoming book 'Shade: A Tale of Two Presidents' is featured in The New York Times. 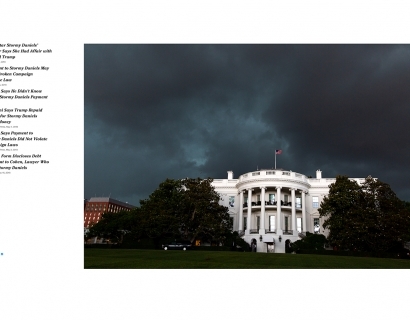 Intended to be a "portrait in contrasts," the publication displays Souza's photographs of 44th President Barack Obama juxtposed with tweets, headlines, quotes, and other material from the first 500 days of the Trump Administration. 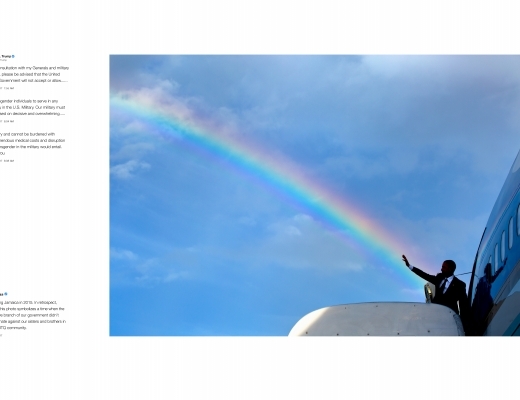 Pete Souza: Throw Shade, Then Vote opens Thursday, October 11. The Washington Post excitedly announces Pete Souza's upcoming publication 'SHADE: A Tale of Two Presidents." Souza, the White House photographer in the Obama administration, has developed a 2-million-strong following on social media due in part to his expert trolling of President Trump - by pairing photographs with commentary, tweets, and screenshots. The work will be on view in an exhibition titled Throw Shade, Then Vote, opening at Steven Kasher Gallery in October.